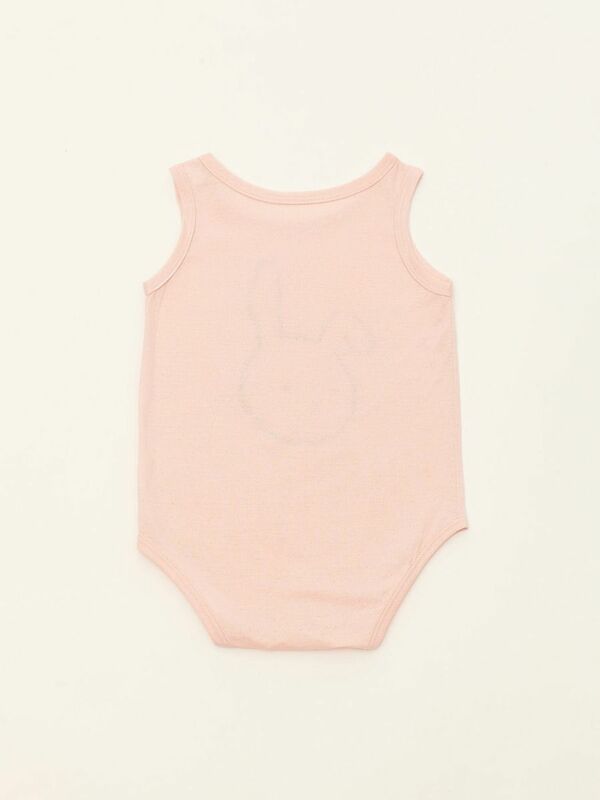 Pale pink baby sleeveless bodysuit with a bunny face print. Round neck with one snap closure on the shoulder. Three snap closures on the bottom for easy nappy change. Made of 100% breathable coton.